CoolIT releases a few new products for 2010 at CES this year, furthering their collection of outstanding products to keep your computer system cooler than OEM products. CoolIT improved upon their Domino A.L.C. system of 2009 with two new products called the ECO A.L.C. and the Vantage A.L.C. 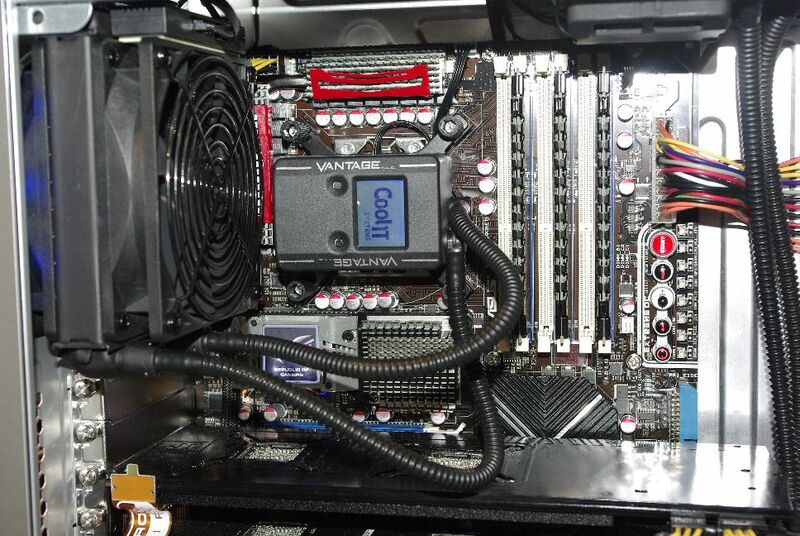 also a GPU cooler like none other on the market today called the Omni A.L.C. 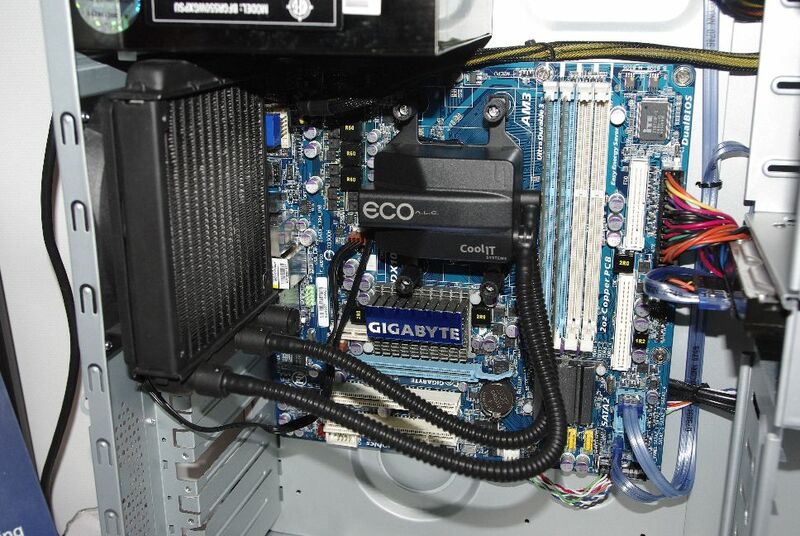 CoolIT has stuck to prepackaged cooling systems which allow the consumer who has never water cooled their system before to install a pre-assembled kit in their computer without having to deal with flushing the system prior to use, dealing with poor quality piping and fittings which can leak if improperly installed. This year, CoolIT has released a custom cooling section allowing those who are committed to the CoolIT line to customize their CoolIT system to work with the consumer’s highly customized system. Saving the best till last, CoolIT releases a utility unlike anything else out on the market called Maestro. 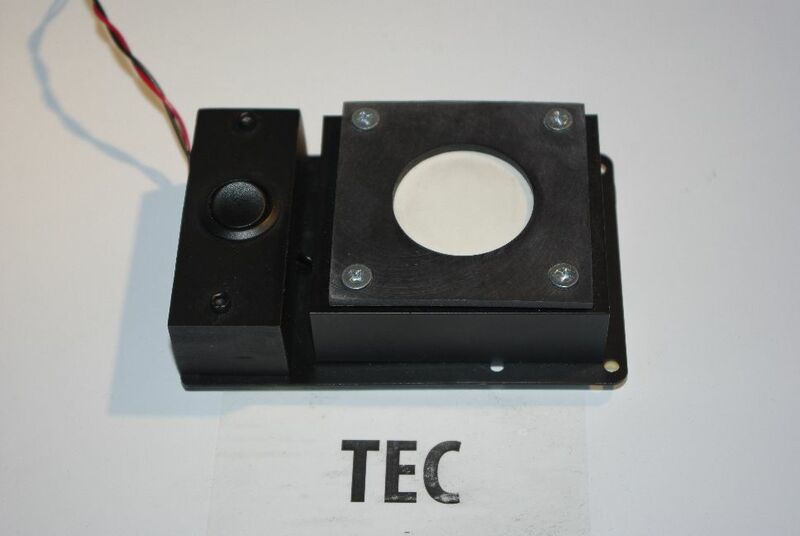 Highly efficient heat transfer block to assist pulling the heat away from your processor. CoolIT has come a long way from their original self contained systems with their patented teak cooling blocks. Last year awarding winning success of the Domino A.L.C. kit CoolIT built the Eco A.L.C. and Vantage A.L.C. 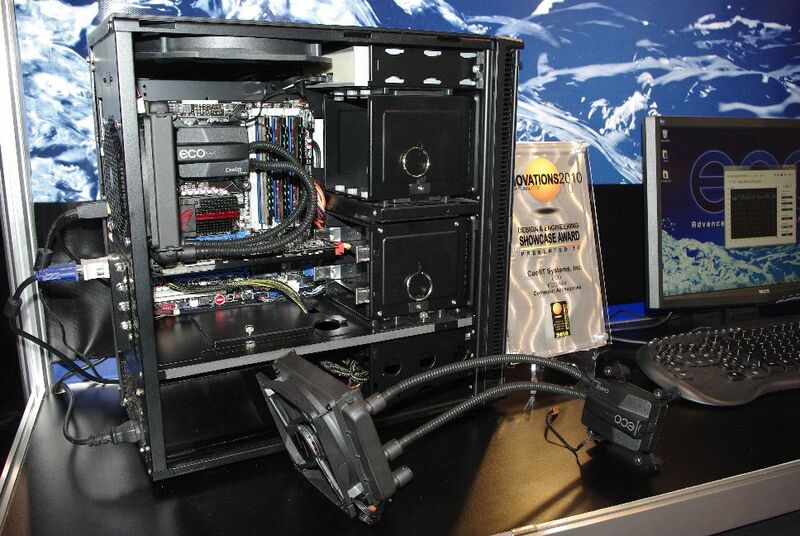 to resolve the issue of the Domino taking up too much room of the side panel of your computer case which resulted in the removal of most side panel fans. The Eco A.L.C. is the entry level, lower price point by removing the digital display all together and putting the pump for the kit over the CPU itself. Display showing the simplicity of the ECO A.L.C. The ECO A.L.C. Installed. Intro to liquid cooling for the first timers the ECO A.L.C. will be the liquid cooler of choice. Also for those who are looking for a liquid cooling system where the flash of having a display would be wasted the ECO A.L.C will be desired. Close up of the Vantage A.L.C. installed. The Vantage A.L.C. takes the ECO A.L.C. design and the Domino A.L.C. display and puts them together to be the more desired design of a pump over CPU all-in-one kit with the display on the pump over CPU, allowing more users the ability to use the Vantage A.L.C. in their computer case and still have the peace of mind of what is going on within their water cooling system.